A flat in Canterbury being used as a drug den has been shut down after dealers took over the property from a woman in her 70s. The residence in St Peter’s Place, Westgate was boarded up after the drug dealers took control of the flat from the elderly tenant. Authorities were alerted when neighbours noticed a number of disturbances and unusual activity at the flat. East Kent Housing Chief Executive Deborah Upton said: “Young families and others living nearby were being forced to endure anti-social behaviour and the nuisance of visitors arriving to this flat at all times of the day and night. “We could not let this situation continue and were forced to take this action. Canterbury City Council, East Kent Housing (EKH) and Kent Police worked collectively to intervene and shut the property. 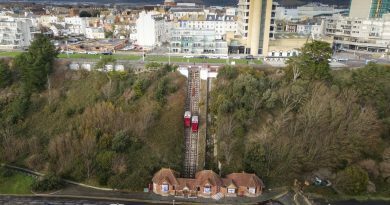 It comes after a three-month closure order was imposed on the property by Margate Magistrates Court. Anyone that now attempts to get inside will be arrested. 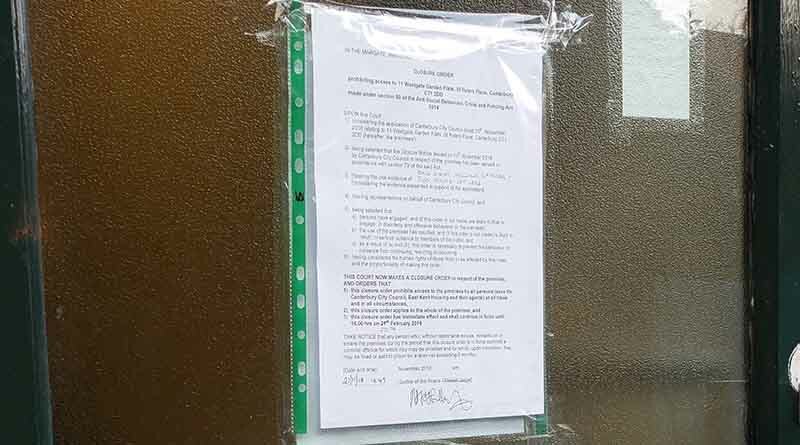 The closure comes after a recent spike in anti-social behaviour as another property in Pier Avenue, Herne Bay has also been shut down after being taken over by a London drug gang exploiting vulnerable people that find it challenging to say no. Kent Police have urged people to stay vigilant, look out for signs and report them as soon as possible by calling Kent Crimestoppers anonymously on 0800 555111.